Scott Royal Smith founded Royal Legal Solutions to offer tax, business, and legal strategies to real estate investors. He has spent the past 8 years of his career diving through case law, reading the ever-changing tax code, and analyzing real estate investment so that you don’t have to. Scott works with clients all over the United States and Canada who want to grow their businesses and protect their hard-earned assets. He uses a combination of his legal expertise, experience as an investor, and love of helping others grow and protect their businesses to build ironclad asset protection plans for his clients. 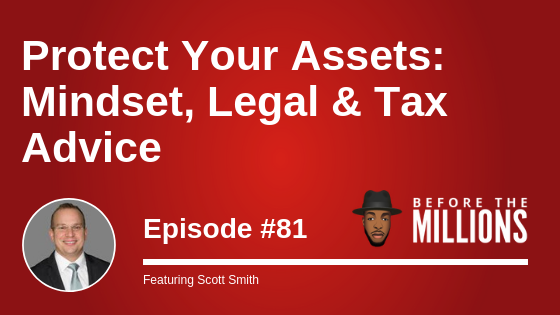 On today’s episode, Scott shares with us why setting up the right business structure is key to protecting your assets as a business owner and investor. He also shares the top questions to ask yourself to awaken self-awareness during your investing journey. You’ll learn the real asset you build when you achieve success (hint: it’s not money) and why you must get comfortable with failure in order to succeed. Lastly, we wrap up the episode with how you can shelter your assets by creating a asset holding company and learning how to take advantages of the U.S. laws for business owners and investors.